Are Identity Theft Protection Services Worth What You Pay? Home › Credit › Are Identity Theft Protection Services Worth What You Pay? 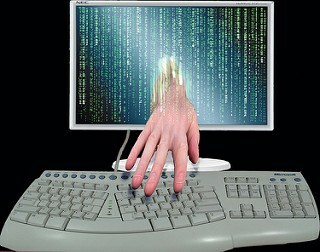 Identity theft is one of the fastest growing crimes around the world. There have been more than 13 million victims annually. There are radio and television ads screaming that if you’re serious about protection, sign up with one of the “identity theft protection services.” But are these products worth the money you pay, and do they do the real job? Their stated purpose is to protect you and your assets, but do they do the job? 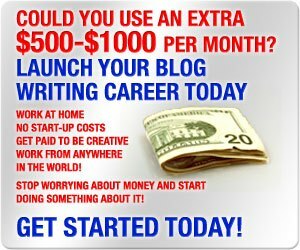 Is it possible you can do the job yourself and save money? All the companies listed below provide regular electronic surveillance of the information most often compromised, acting as the guard dogs of your data. Some premium services also offer different types of monitoring (credit reports, public records, credit cards, and Social Security numbers). A few of them offer software to protect your computer. You can even get free access to your credit scores. An important warning about any and all of these plans – they’re not going to be able to warn you in advance. There must be a breach before they will activate notification or any forms of protection. And none of them can monitor every transaction. LifeLock specifically advises (in small print) that if the breach is through a vendor that is not in their network, they cannot be held liable. The options are out there if having a third party protect your identity is a high status concern for you. Those that make the most noise in advertising are the ones best known, of course. There are other choices are out there, though. Here are the lesser known players, and it might be the place to start your hunt for something that meets your needs for a reasonable price. These names will be more familiar to you. The pricing doesn’t seem to be too variable and the services offered appear to be similar. You might want to ask for a definition of “comprehensive” identity theft protection though (ie, just how comprehensive is comprehensive?). A word of warning: none of these companies offer additional Internet security features. It boils down to your having to determine what you want watched. With only a few exceptions, all monitor your credit bureau reports, but you can do this for free. Depending on the state you live in, you can get free credit reports every six month or annually. If you are diligent you can ride the herd on your credit cards and bank accounts yourself, as many not provide either periodic credit reports, credit scores or both. If those are your major concerns, save your money. Making sure no one uses your Social Security number inappropriately may be a bit difficult, and the government should not be counted on as a guardian. Just a couple of months ago it was reported that 4 million federal employees’ records have been hacked. With data miners at work all the time, trying to keep track of the listing of your name, address, phone number and email could be a full-time task. Truthfully, most of the information these miners are coming up with is from public records – which is to say that it’s already out there and you can’t pull it back in. With such things as HIPPA (Healthcare Information Privacy And Protection Act) enforcement and your own vigilance, this may not be a major concern for most people. Lastly, eleven of the companies offer “service guarantees” or warranties. What they will pay for is a vague in most instances, and none seem to make a blanket offer of restitution or remuneration. LifeLock states up front “Network does not cover all transactions. Phone alerts made during normal business hours.” LifeLock is one of the heaviest advertisers for their products but these stipulations may not make it as attractive as something else. Have you ever used an “identity theft protection service?” Have you been the victim of identity theft? Would you share with us any difficulties you experienced in restoring your records? Did the authorities catch the thieves? ← Would You Move to Another State to Lower Your Car Insurance Premium? 5 Responses to Are Identity Theft Protection Services Worth What You Pay? Bill, my concern is the safety issues as far as who these companies are hiring. I know from the days when I use to have a clearance – we did have instances of embezzlement and other fraudulent activities going on. Personally I prefer to monitor my own stuff and take certain safeguards. Now I am not saying I know how to do it better than these companies, I am just concerned about who they hire. No background check can guarantee the honesty of anyone. Bottom line, everyone should use common sense to safeguard themselves. I see too many people not protecting their passwords as they make purchases at retail stores. Me, I have even had to ask some people to “back up” to give me the privacy I need to input my password when using my debit card. Of course some understood and really was not paying attention to how close they were while others totally went crazy on me. Well I stopped what I was doing until they did as I requested = you can hold up the line if you want to. I thank God that I have not had any issues and continue to pray this continues. Another thing I am very leery about is making purchases over the phone. It is like why would I trust someone on the phone without knowing them or their location. Africa and India are fast becoming the hot spots for fraud and so are job sites. I caution people to remove all information from their resume that oculd be used to create an identity. If the job posting is indeed valid, they can supply additional information as needed. I now use my email address on my resume – no more phone numbers or addresses. Great post!!! My basic objection to them is after you drill down through all the pitches, all yhoui get is someone telling you something you’re going to find out on your own. They can’t stop it, and it appears a bit doubtful there is anything they can do for you if it does. I’m with you; I can do it myself. It just takes diligence and determination not to mention consistency. By the way, thanks for being a loyal “follower” and “reader” here at OutOfYourRut.com. We always appreciate your very insightful responses. Bill, you are welcome! This site provides some relaxation for me when I have a few spare moments. You and Kevin are doing an AWESOME job with posting interesting material that makes us think!!!! Keep writing…. I keep reading lots of articles where people are saying that credit monitoring is a waste of money and anyone can easily do it on their own. Who has the time for that? I don’t even have enough time to spend with my kids, let alone sift through credit reports on a monthly basis. For $20 bucks or whatever the cost, it’s worth it to me to let someone else keep tabs on my credit reports. I signed up with identity force and so far it’s been great.